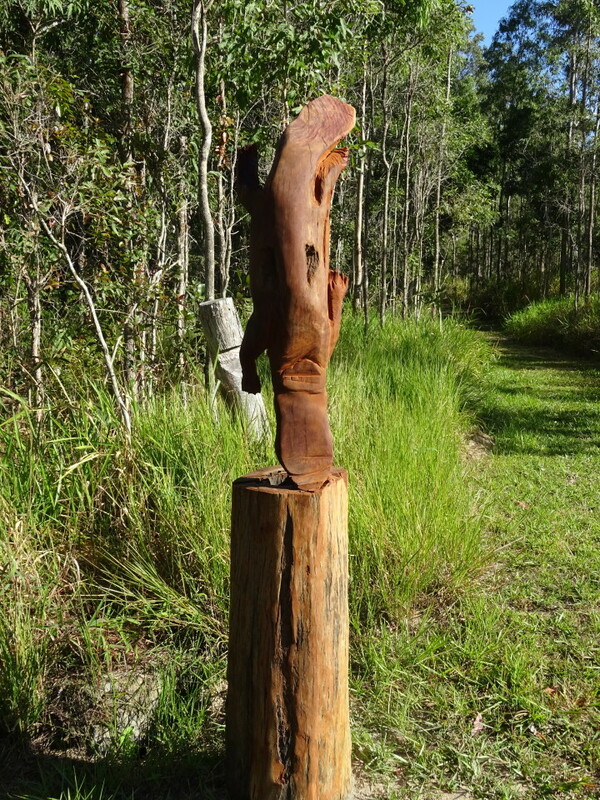 So here he is, our beautifully carved timber platypus taking pride of place down at the Platypus pond thanks to Matty G chainsaw artist. Carved from solid bluegum on site at Sweetwater Lodge. So if when you are visiting you miss out on seeing the real thing you can at least now check out our lovely new sculpture! However we are lucky enough to see regular sightings of this elusive and shy animal at Sweetwater and sometimes even watch two playing at the one time. Best viewing times for Platypus are typically early morning or late afternoon/early evening although living here we see them at all times of the day.